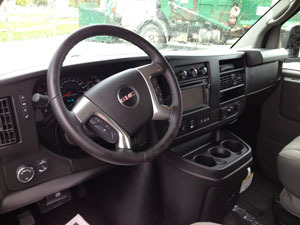 GO-KEY Rentals, 9010 Route 20, Perrysburg, OH 43551. 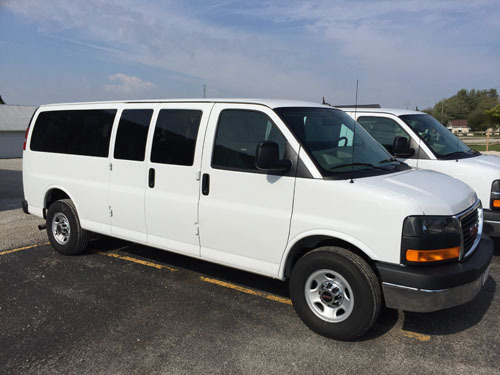 All passenger vans are Chevrolet Express or GMC Savanas, fully loaded, power everything, front and rear heat and A/C, AM/FM CD player, dark glass, room for 15 people or vans can be configured to offer extra storage room. 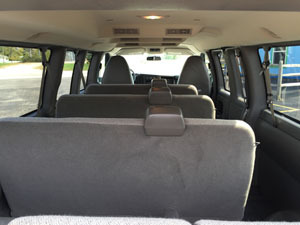 All passenger vans can be set up to seat 5, 8, 11, or 15 people.